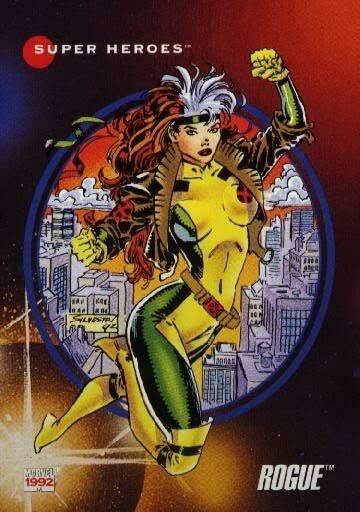 Rogue has a past that is shrouded in mystery. 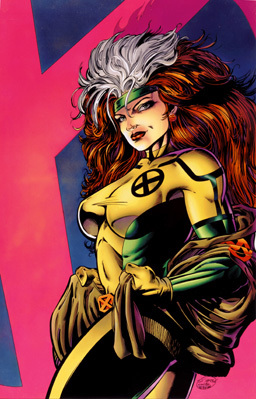 Her mutant ability to absorb other people's powers and villainous memories first manifested itself when she was a teenager. 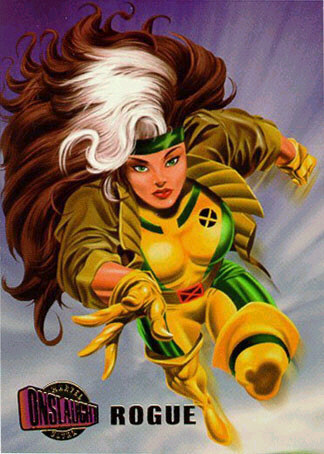 Raised by her Aunt Carrie after tragedy befell her parents, young Anna Marie ran away from home and was taken in by Mystique and Destiny, whom Rogue came to regard as her surrogate parents. 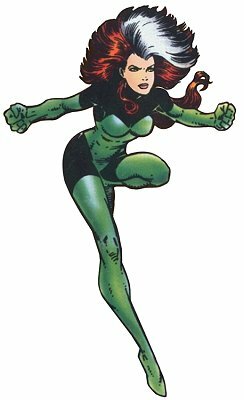 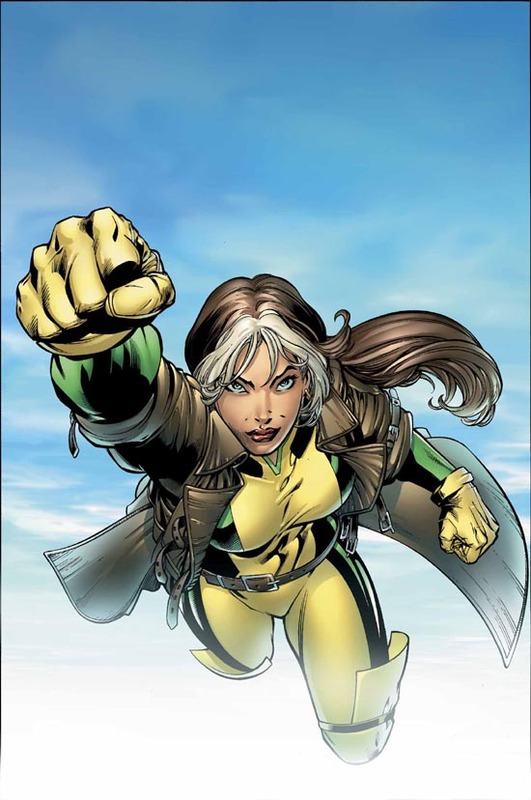 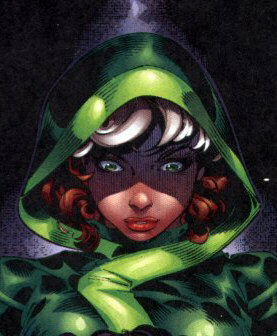 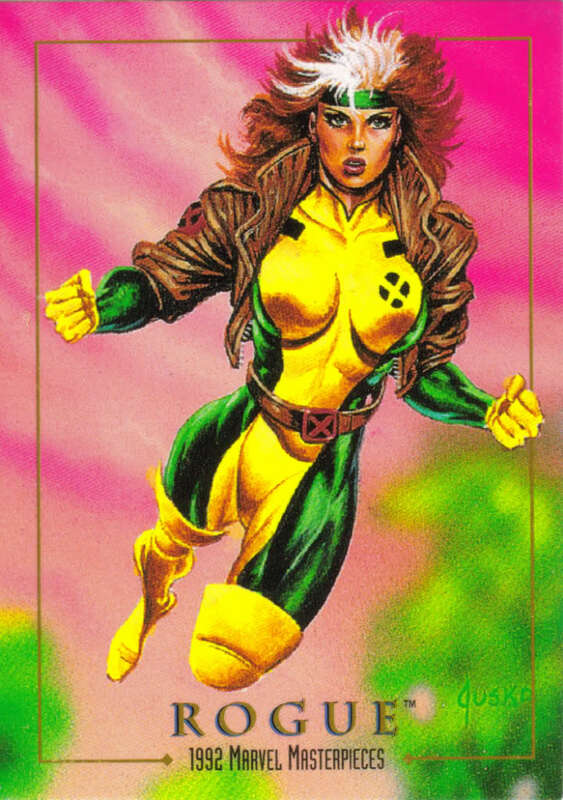 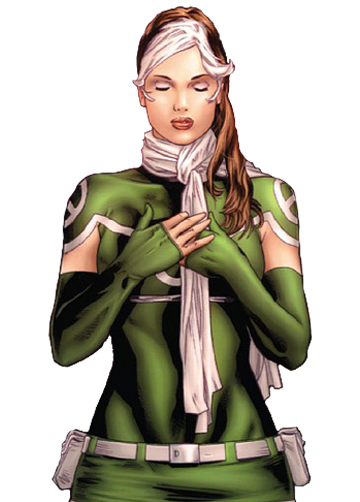 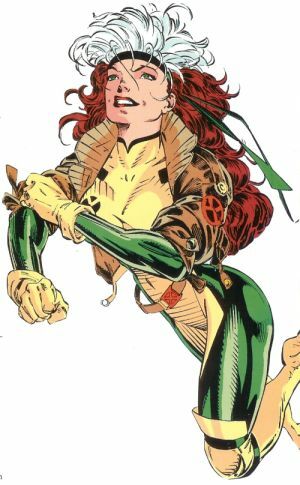 Rogue's mutant power first manifested in her early teens when she kissed Cody Robbins. 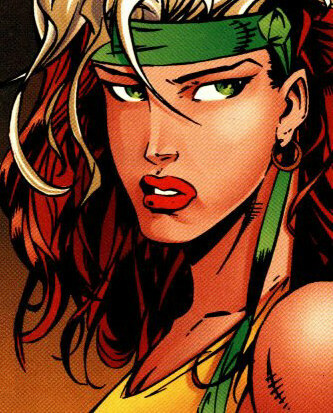 Her mind filled with his memories, and he fell into a permanent coma. 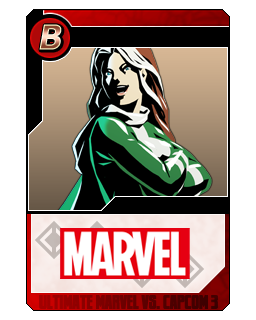 Eventually realizing she could never safely live among normal people, Rogue began participating in her foster mother's criminal endeavors and came to join Mystique's terrorist Brotherhood of Evil Mutants. 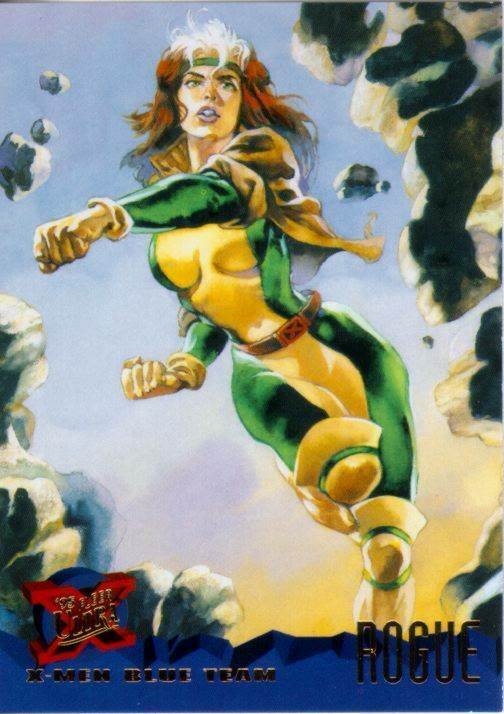 On her first mission, the inexperienced Rogue clashed with Ms. Marvel (Carol Danvers) and permanently absorbed the hero's memories and powers, including super-strength and flight. 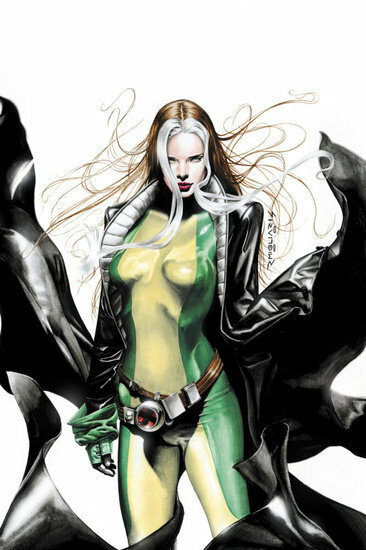 Distraught over her lack of control, Rogue turned to her enemies, the X-Men. 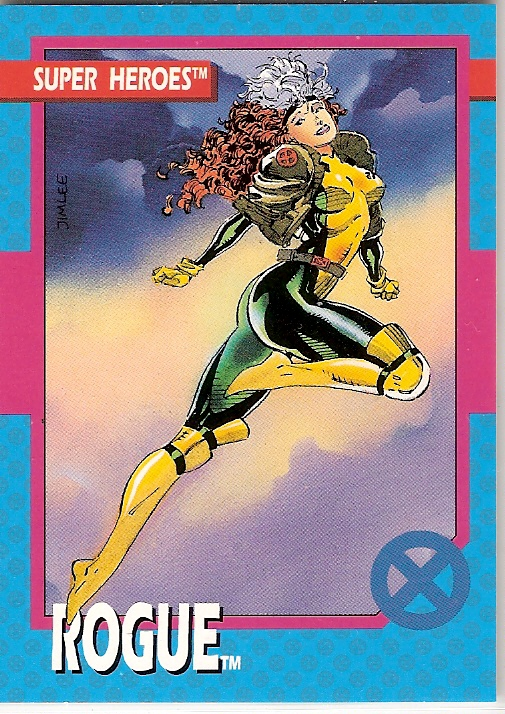 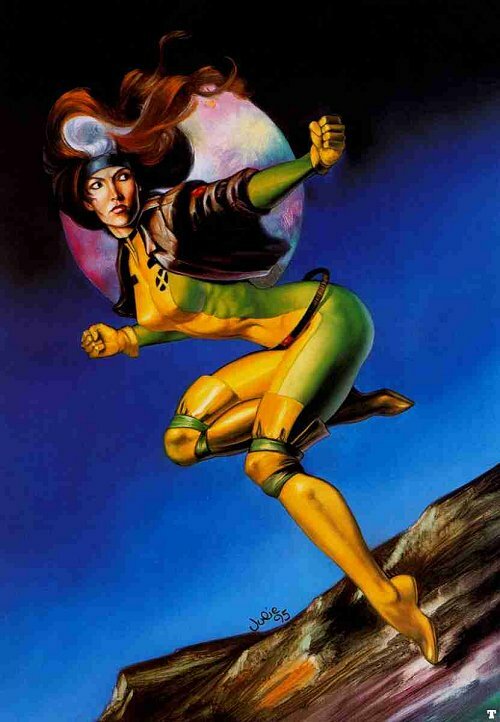 Convinced of her sincerity, Professor Xavier accepted her onto the team; however, it wasn't until Rogue risked her own life to save Wolverine's fiancee Mariko Yashida that she began to gain her teammates' trust. 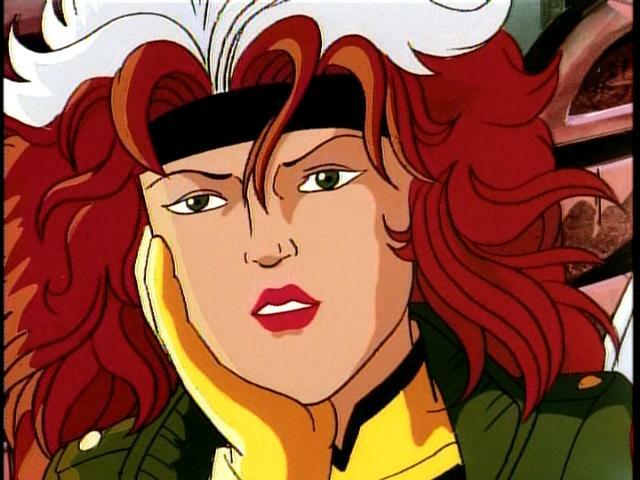 Rogue and teammate Gambit fell in love despite her inability to safely touch him. 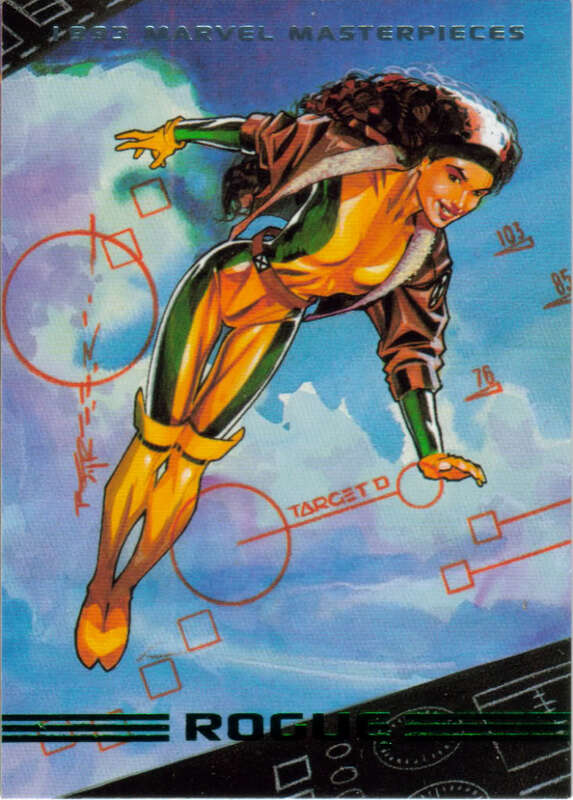 Eventually, he and Rogue formed a splinter group with four other X-Men to search for Destiny's diaries, which predicted the future of mutant kind. 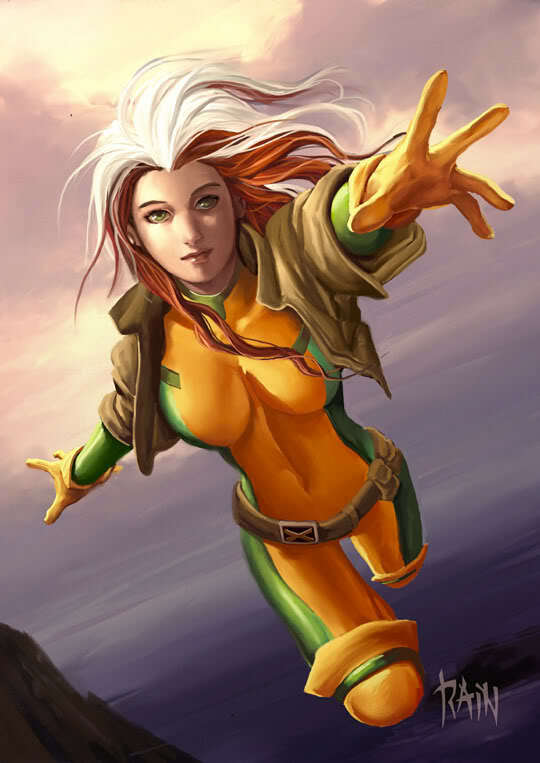 During their quest, Rogue and Gambit were rendered powerless, and the pair seized the opportunity to pursue living a normal life together in the mutant-friendly community of Valle Soleada in California. 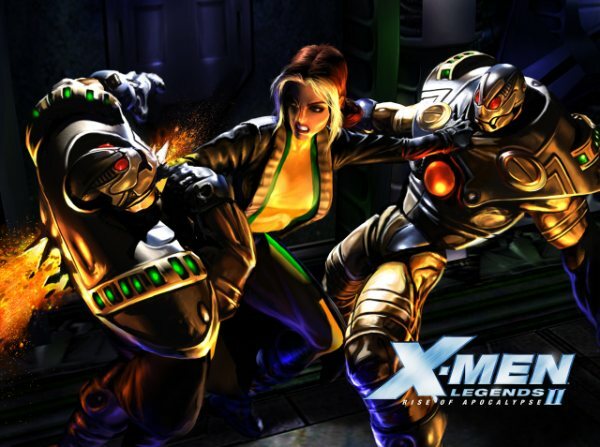 Soon after, they came to the X-Men's aid against the mutant predator Elias Bogan and subsequently rejoined the team. 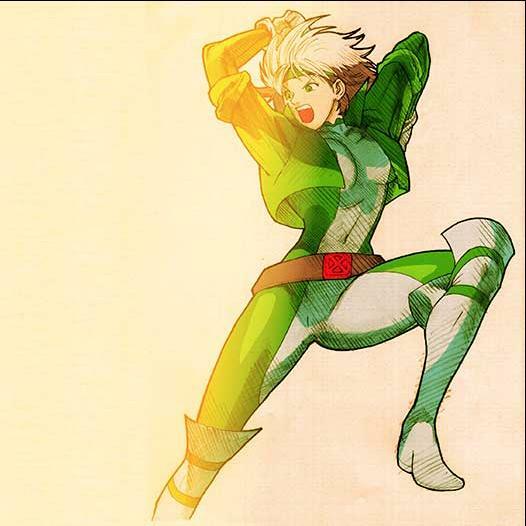 Regaining her power of absorption thanks to the jumpstarting ability of her teammate Sage, Rogue set out on a personal quest to rediscover her past. 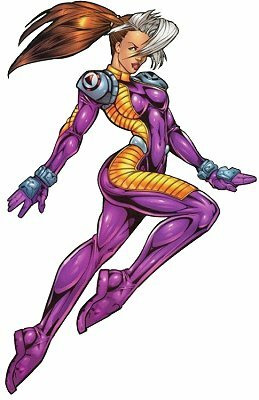 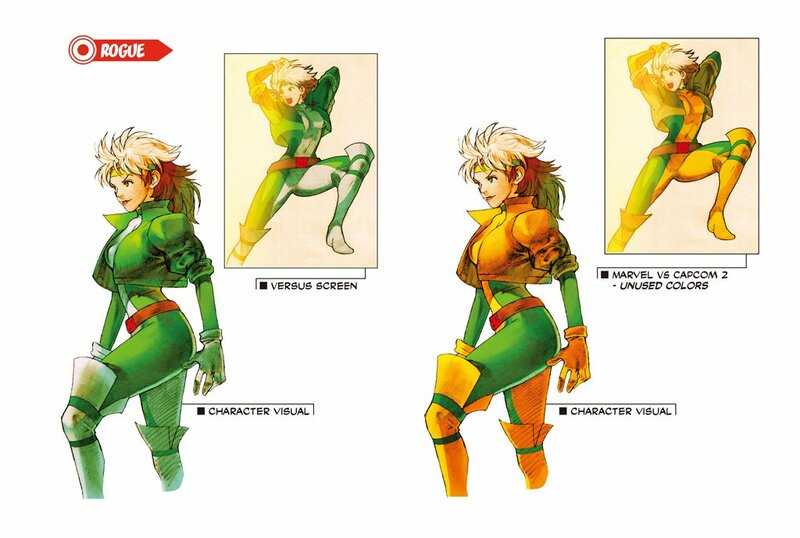 Rogue's 2D sprite is still awesome-looking and well-animated to this day, and the way she absorbed and used her opponent's powers in XVSF was very innovative for fighting games. 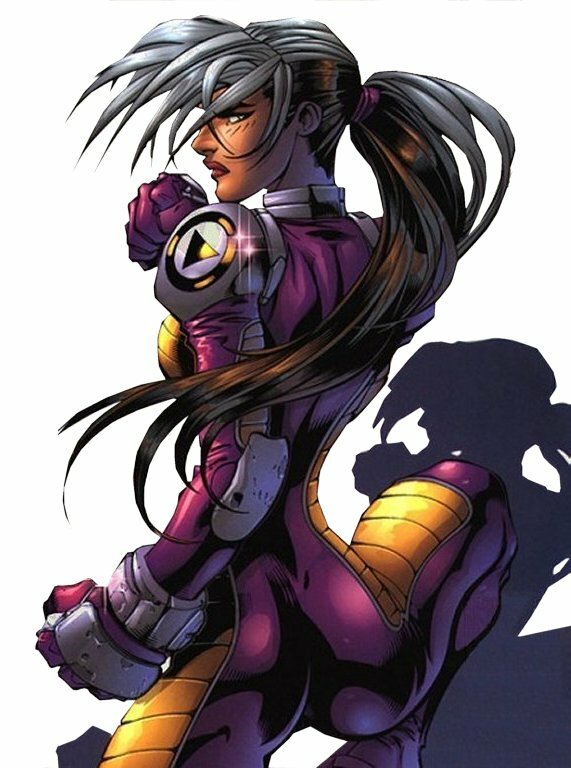 I'm guessing Capcom didn't put her in MSH VS SF or MVC1 because it would've taken "more time & work" to allow use her opponent's powers properly... (and the way they did in MVC2 was kinda cheap). 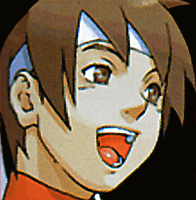 The case may be the same with MVC3. 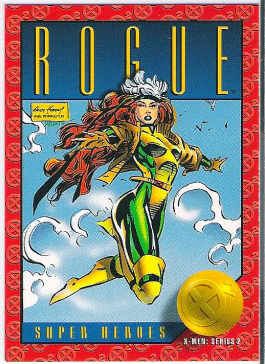 *sigh* Rogue is just too powerful for some games... lol. 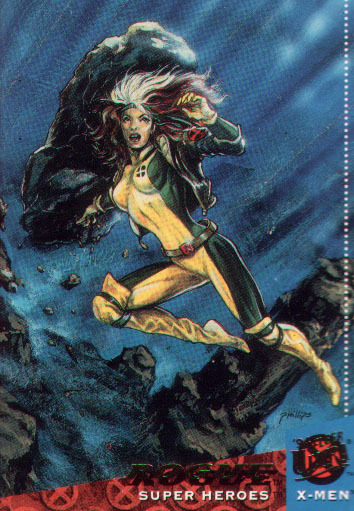 Lastly, Rogue shouldn't have "lost her powers" in X-Men: The Last Stand. 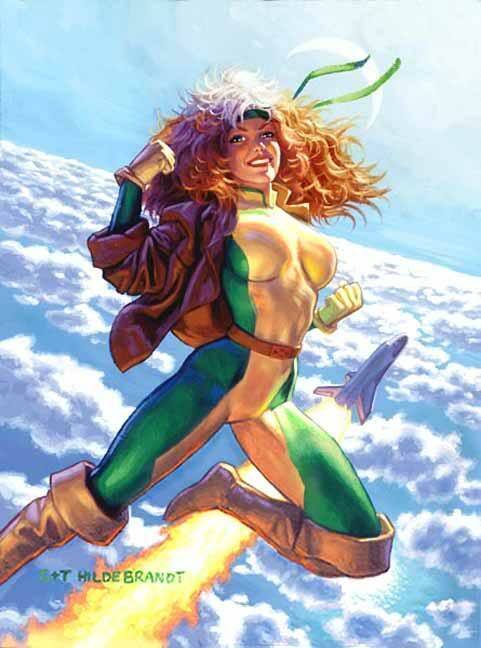 That was just lame... stupid, stupid Hollywood.